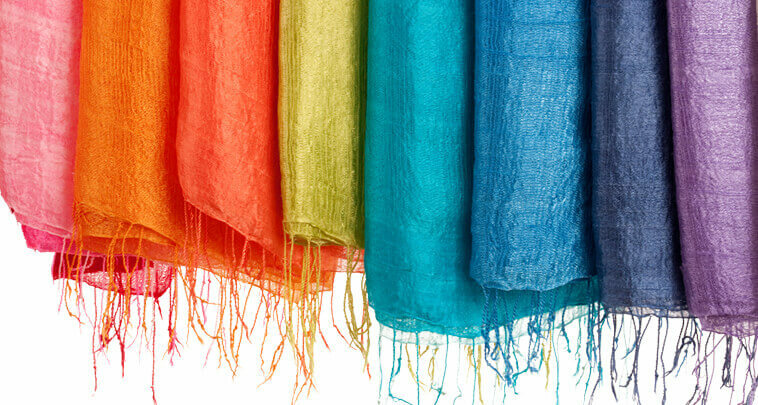 The textile industry, sometimes known as the rag trade, is associated with the design and production of cloth goods. It also involves importing and exporting natural and man-made fabrics.Spinning and dying yarn, cotton, or other fibers is also a part of this global industry. This industry is found throughout the world, and the type of fabric and goods varying widely from one region to the next. A major part of the textile industry involves clothing. Many people are employed designing new fashions and marketing them for production. Others are involved in overseeing the manufacturing of certain fashions. This includes teaching people to sew garments and inspecting them for defects in workmanship. Other textile companies produce household linens such as sheets, blankets, pillowcases, and towels. These items might be manufactured by sewing fabric or weaving fibers together. Some products require the use of a pattern, while others are assembled freestyle. This varies depending upon the item being made and type of material used. The method of making items varies from one region to the next. In some cases, fabric may be cut and sewn by hand with a needle and thread. Other times, textiles are produced on a sewing machine. Large manufacturing facilities often generate cloth goods on computerized equipment specifically designed for making a particular item. Some segments of the textile industry deal with importing and exporting fabrics. Clothing designers and manufacturers often have buyers who travel the world looking for the right cloth to create their fashions. This is because the type of material that is locally produced varies greatly from one country to the next. The methods of weaving fibers together to make cloth also varies, so manufacturers may prefer one technique over the other, depending on the garment they are producing. Both dying and stamping fabric with designs are also a part of the textile industry. In some cases, items can be manually submersed into large vats full of liquid dye, and then hung up to dry. Other times, equipment that resembles a washing machine might be used to color several garments simultaneously. Designs can be printed or stamped by hand or via a computerized machine. People in many countries rely on workers in the textile industry to supply them with cloth goods. Without individuals to make clothing and household items, most families would be unable to produce them on their own. The textile business supplies these goods while providing a valuable source of income for many people throughout the world.